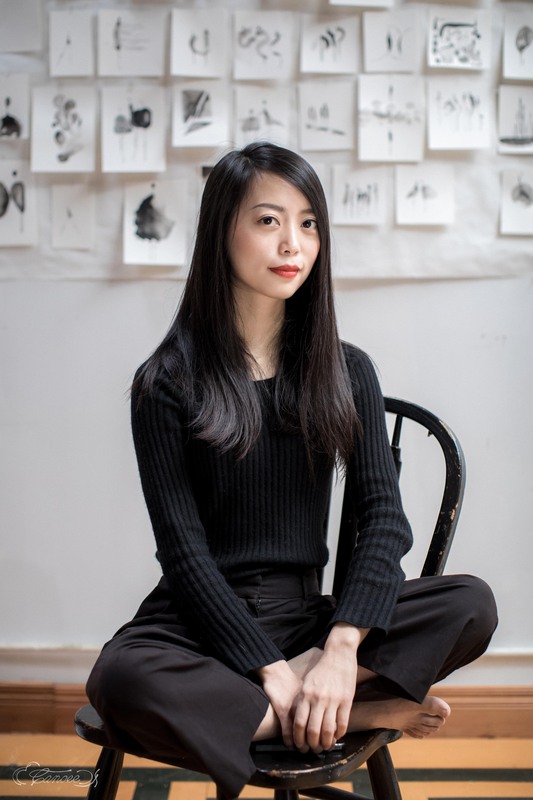 Qianqian (Q) is an artist / designer / creative coder working at the intersection of art and technology. Emerging from an architecture background she explores the complexities of human interaction in various media including Virtual Reality, IoT, Social Computing, Data Visualization, Tangible Media, Machine Learning and long time favorite Ink Paintings. She holds a Master of Landscape Architecture from Cornell University and a Bachelor of Architecture from ZJUT. Her works have been shown at Museum of Contemporary Canadian Art, Ecobuild London, Killscreen Magazine, The Offing, The Forth Magazine and various exhibitions in US and China. She worked at a number of practices internationally, from China, the US, Denmark to Brazil. Qianqian Ye founded YE/S in 2016, focusing on experience art and design for architectural, digital and virtual spaces. She recently just wrapped up her solo show ‘Alone Not Alone’ at The Laundry Gallery. She currently lives with two cats in San Francisco, CA. Issue Twenty-Five: Art - by The Adroit Journal, May. 2018. ART: Alone Not Alone - by The Offing Magazine, Apr. 2018. ART FOR AWKWARD AND LONELY PEOPLE - by Forth Magazine, Mar. 2018. VR Supper Club Interview - by Kill Screen, Jan. 2017. Planning By Doing - with Gehl, Jun. 2016. ¡A todo pedal! - with Gehl, Apr. 2016. SAM: Super-Agri-Mart - with Droog, Sep. 2014. To Be Destroyed - by Museum of Contemporary Art, Sep. 2014. Special Jury Prize - 2015 Ed Bacon Student Design Competition - Feb. 2015. Shortlist - London Royal Docks competition - Feb. 2014. Honorable Mention - ULI Urban Design Competition - Feb. 2013.